Who can believe this year is almost coming to an end? We already are in the middle of November. :O And, because of such, I decided it's finally time to choosing books that will be released on 2017. So, this week on WoW is Roseblood by A.G. Howard. Of course, it's a retelling, a modern day retelling of The Phantom of the Opera (which I hope to read some day) and it's summary is so dark that I can't wait to have an opportunity to read this beauty (the cover is to die for *.*). The book will be released on January 20th 2017. 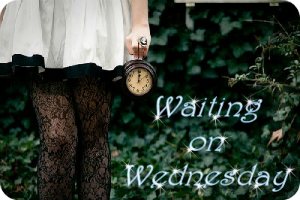 "In this modern day spin on Leroux’s gothic tale of unrequited love turned to madness, seventeen-year-old Rune Germain has a mysterious affliction linked to her operatic talent, and a horrifying mistake she’s trying to hide. Hoping creative direction will help her, Rune’s mother sends her to a French arts conservatory for her senior year, located in an opera house rumored to have ties to The Phantom of the Opera. 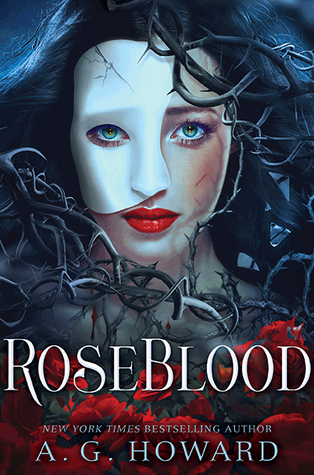 At RoseBlood, Rune secretly befriends the masked Thorn—an elusive violinist who not only guides her musical transformation through dreams that seem more real than reality itself, but somehow knows who she is behind her own masks. As the two discover an otherworldly connection and a soul-deep romance blossoms, Thorn’s dark agenda comes to light and he’s forced to make a deadly choice: lead Rune to her destruction, or face the wrath of the phantom who has haunted the opera house for a century, and is the only father he’s ever known."